Have you ever thought to learn to dive in the Caribbean? Summer is just around the corner and you are already thinking of your next vacations. You want to forget the stress, to practice sports in nature and live adventures, but you wonder how and where you could achieve your goals. We have a suggestion for you: Learn to dive in the Caribbean. If you want to know why, go on reading! Learning to Dive in The Caribbean Is the Best Way to Disconnect from Daily Stress. Paradise on Earth exists and it has perfect weather during the whole year. If we add its white sand beaches, its friendly people and its leisurely rhythm of life; you will understand why in The Caribbean you can find some of the most relaxing places in the world. Even, if there is no stress during your surface intervals, wait and see how relaxing it can be to learn scuba diving in the Caribbean. You will discover that while scuba diving you feel an unbelievable relaxing sense of well-being. You have not imagined your happy place could be under the water, have you? But the truth is that, there, you listen to no more than the sound your own breath and the bubbles ascending to the surface. At that very moment, the anxiety disappears, the worries are diluted and stress is forgotten. Biodiversity, Another Reason To Learn To Dive In The Caribbean Sea. As we told you in the article The 9 Best Caribbean Coral Reefs for Scuba Diving, this sea hosts under its waters amazing diving spots whose main features are their biodiversity. The Caribbean Sea is famous because of its coral reefs. In fact, it has the second largest Coral reef barrier in the world. Did you know that according to the scientist coral reefs are the habitat of more than 577 different species of fish? In addition, many of them really stand out because of their beauty and colors. Parrot fish, queen angel fish and the beautiful butterfly fish are some examples. Here, from the tiny and precious nudibranchs, to the breathtaking bull sharks, without forgetting, moray eels, nurse sharks, and different species of rays, everything just makes the Caribbean Sea an incredible soup of life waiting for you. 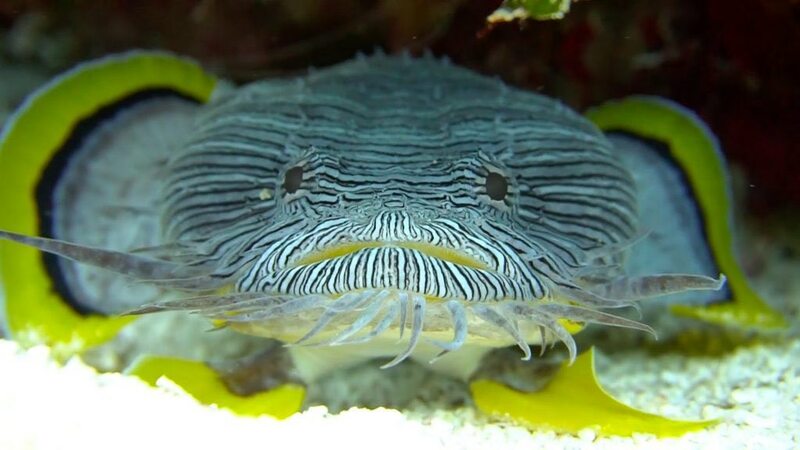 In addition to everything mentioned above, when you learn to dive in the Caribbean you can admire some of its endemic species, amazing creatures which are not possible to find in any other place in the world, such as the splendid toadfish from Cozumel or the Orange Filefish. 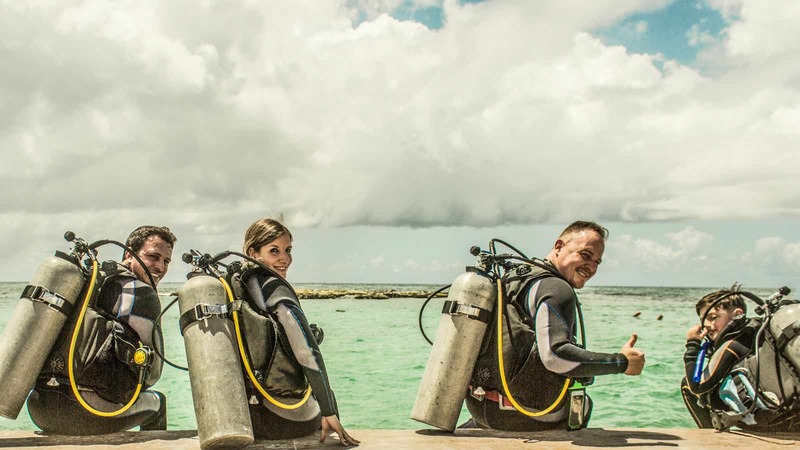 Learning to Dive in The Caribbean Means to Do a Sport in A Fun and Entertaining Way. Scuba diving is a way to exercise and tone up your body. But above all, it is a fun way to do it. Practicing scuba diving you barely realize the anaerobic and aerobic exercises you perform. Forget suffering, the boring repetitions, and sweating. 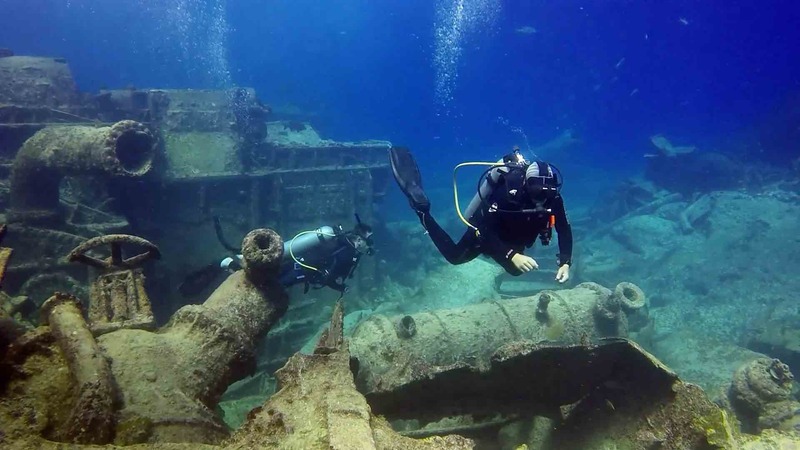 Scuba diving you will keep fit while you are delighted by the marine wonders. Moreover, learning to dive in the Caribbean offers you the opportunity to live a new and different adventure with every dive. The possibilities are endless. Besides admiring the Caribbean biodiversity and the beauty of its coral reefs, you will be able to dive in the Montego Bay Marine Park, explore wrecks in the Dominican Republic, let yourself be dazzled by the Mexican cenotes, discover colors that you did not believe existed during the night dives, etc. Believe us! You will want to learn more and more about diving. Notice that you will be able to scuba dive in ever more spectacular diving spots with every new PADI certification. When You Learn to Dive in The Caribbean You Make Friends from All Over the World. The North and South Americans, Europeans and even people from the other side of the world visit the Caribbean in order to scuba dive. If you learn to dive in the Caribbean you will meet many people who share this hobby and you will soon make great friends. 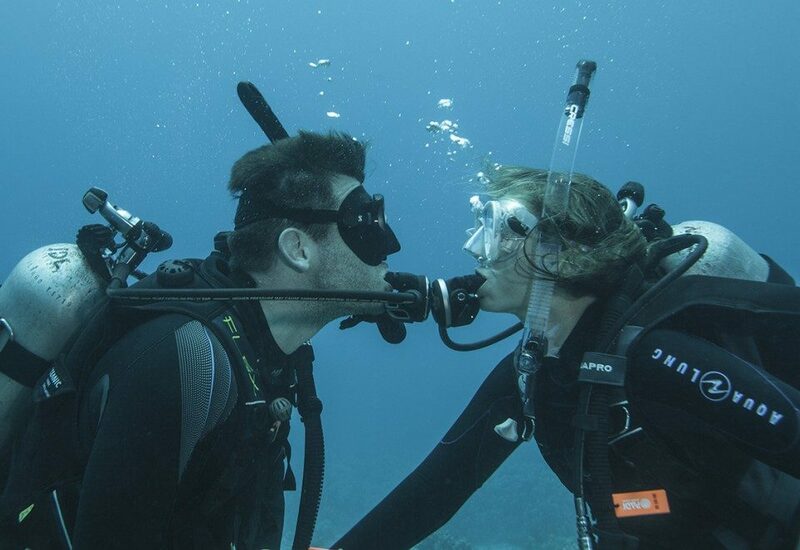 You are going to need a dive buddy to dive with and, undoubtedly, that favors human relationships. But also, briefings, boat trips and especially amazing moments will be shared. Furthermore, these unforgettable experiences will be remembered by you and your new friends gathering during the sunset. 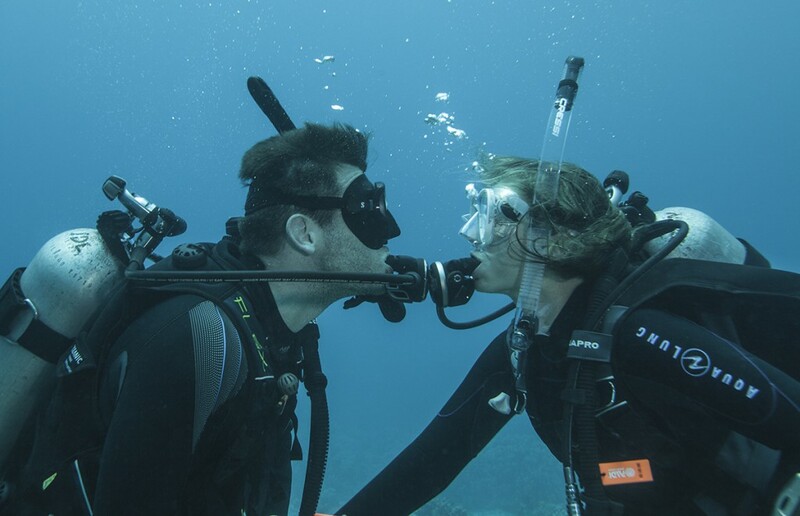 Because You Can Learn to Dive in The Caribbean With Dressel Divers. 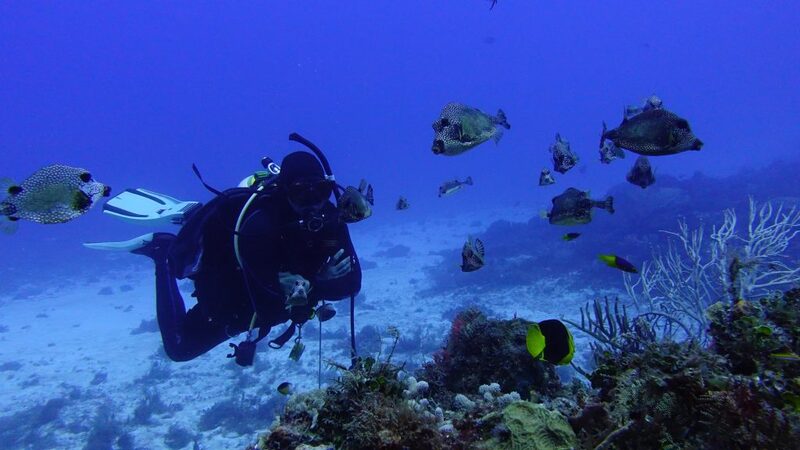 Dressel Divers counts with twenty-five years’ experience in scuba diving in different locations in the Caribbean. 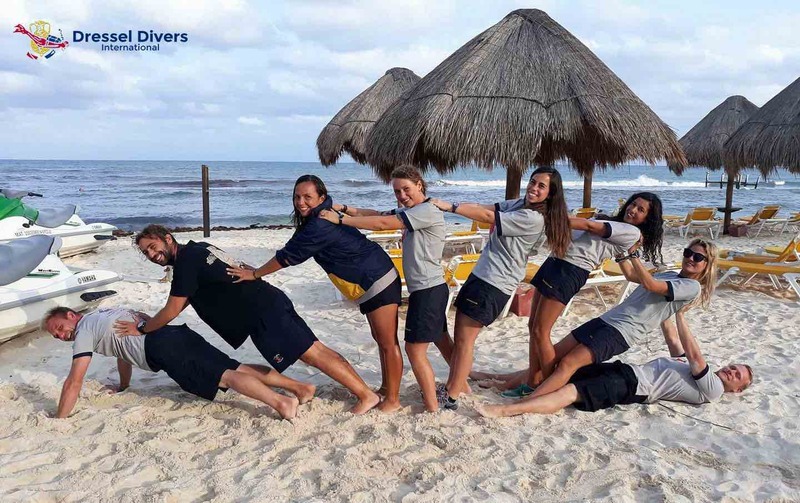 Our bases in Montego Bay (Jamaica), Bayahibe y Bavaro (The Dominican Republic) and Mexico (Playa del Carmen, Playa Paraiso, Puerto Aventuras y Cozumel) offer a wide selection of diving and snorkeling services. Moreover, in all of them we impart PADI training programs. On top of all that, many of our staff obtained their professional diving qualifications with our own PADI Career Development Center. They are, therefore, trained within our own philosophy and in harmony with the objectives of Dressel Divers. It highlights our commitment with the new generations, sustainable diving and the environmental conservation. Our company is proud of its Go Green project, thanks to which we collaborate with different marine conservation actions and offer to our guest the opportunity to support them actively as divers. You can know more via the Go Green web page. 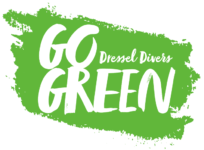 For all these reasons, if you trust in Dressel Divers’ professionals, you, not only will learn scuba diving, but you will do it in a sustainable way. 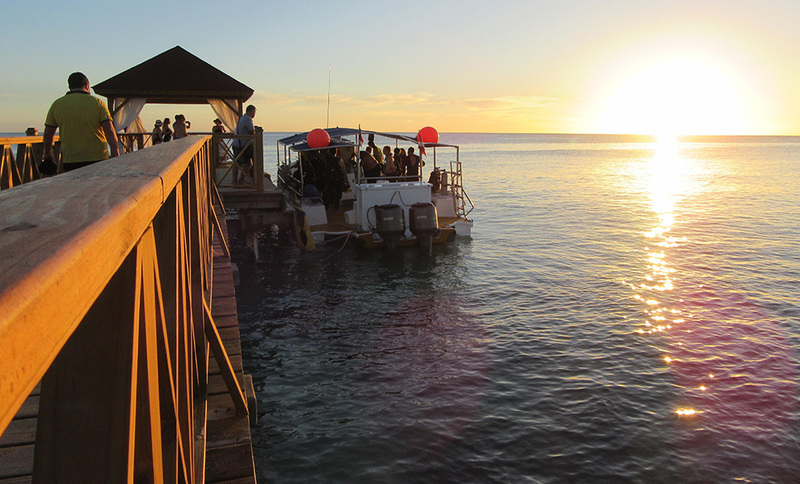 Do you want to learn to dive in the Caribbean? Don’t hesitate to contact us if you want to learn to dive in the Caribbean. Drop us a line!